Brian Thacker Travel Writer | War tourism. 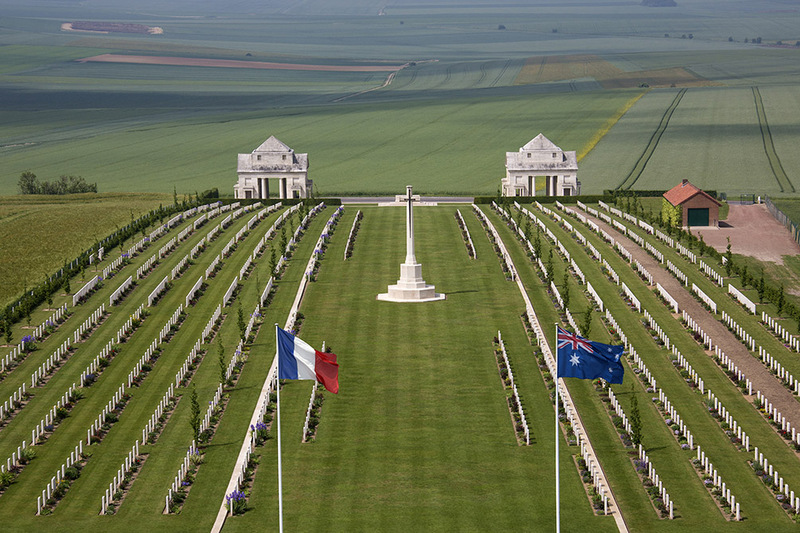 You can’t help but be moved when you stand in the middle of the stark yet beautiful cemetery dedicated to the more than 23,000 Australian troops that died during the Battle of Somme. It’s hard to imagine that this stunning landscape of lush green farmlands and hills was a muddy battlefield strewn with the destruction of war. We also visited and walked through a small section of trenches in the middle of a farm, which also housed a museum. The collection in the Franco-Australian Museum includes uniforms, letters and documents illustrating the role of the Australians. However, it is the photographs of weary soldiers and bombed-out buildings that truly evoke the sad reality of war. I went to the Imperial War Museum with my dad and uncle (from Birmingham) and a whole bunch of cousins (from Manchester). 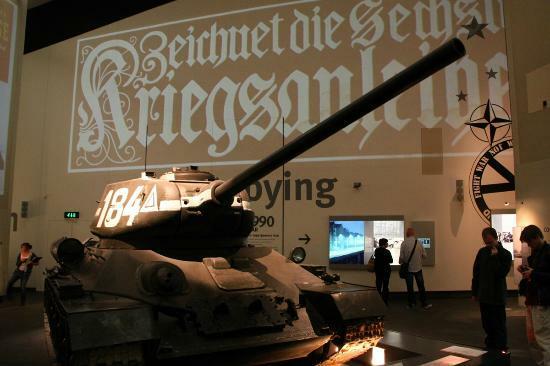 The museum, which is a massive open space, doesn’t glorify war (or Britain’s victory). The museum adopted a more human approach, examining peoples experience of a world destroyed by war. One of the most bizarre pieces was an ornate Gold Mother’s Cross, which was awarded to German mums who had more than eight children. For us the most interesting part was when we put great Uncle Arthur’s name into a computer (the computer listed all the servicemen and servicewomen killed in the two world wars) to see if we could find out what had happened to him. It only took us a few minutes to find his name. The family were amazed to discover that he he was a gunner with the Royal Artillery and he died in Dunkirk on the 27th May, 1940 (he was also buried there). 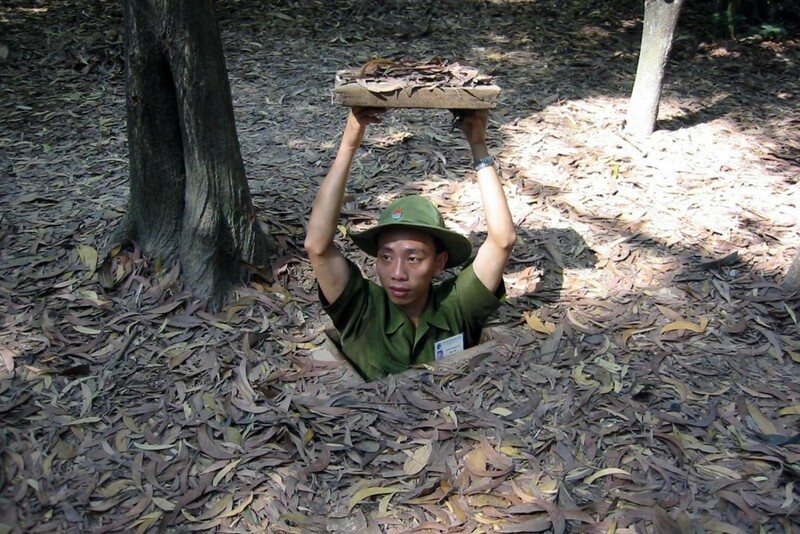 These infamous tunnels, from which the Viet Cong mounted surprise attacks on the South Vietnamese and Americans stretched 250 kilometres around and into Saigon. The tunnels were incredible (and incredibly narrow), but my favourite part was the serious documentary film that was screened before you go to (or into) the tunnels. It was one of the funniest films I’ve ever seen. Although the roomful of American tourists didn’t seem to find it quite as funny. The film opened on a sweet-looking girl standing in a rice field. ‘This is Sang. She is an American killer hero.’ Sang then casually started shooting an AK47. ‘It is good to kill Americans,’ the commentator added matter-of-factly. It then went on to show lots of Americans being shot. ‘The Americans shot our men, our women, our children, our house…even our pots and pans.’ And just in case you didn’t believe them, they showed a pile of pots and pans peppered with bullet holes. This is sombre war ‘tourism’ as its most poignant and moving. These atrocities can not even be imagined. I have visited Dachau concentration camp around 15 times (it was part of the itinerary when I was a tour leader in Europe). 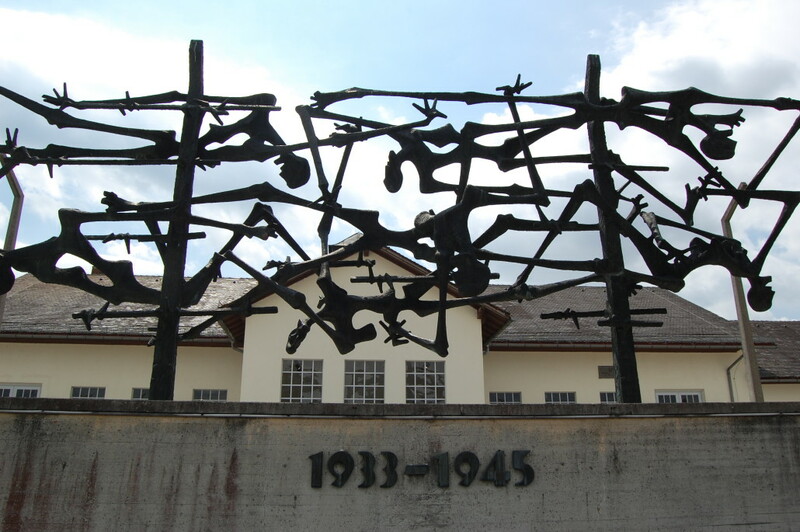 Dachau Concentration Camp was Germany’s first, opened only 45 days after Adolph Hitler came to power in 1933. One time, while I was standing inside the compound explaining to my group about the atrocities that took place in concentration camps during the war, a very pale and severely hungover young lad put his hand to his mouth, took a few wobbly steps across to the nearest thing to lean on, and threw up. I don’t think I have ver been so embarrassed. He’d just thrown up all over a monument to all the jews killed in the war. What were the Japanese thinking. Didn’t they figure that the Americans would be just a little bit pissed off when 350 Japanese warplanes bombed the hell out of the US Pacific fleet in Pearl Harbor on December 7th 1942, killing 2,403 Americans. 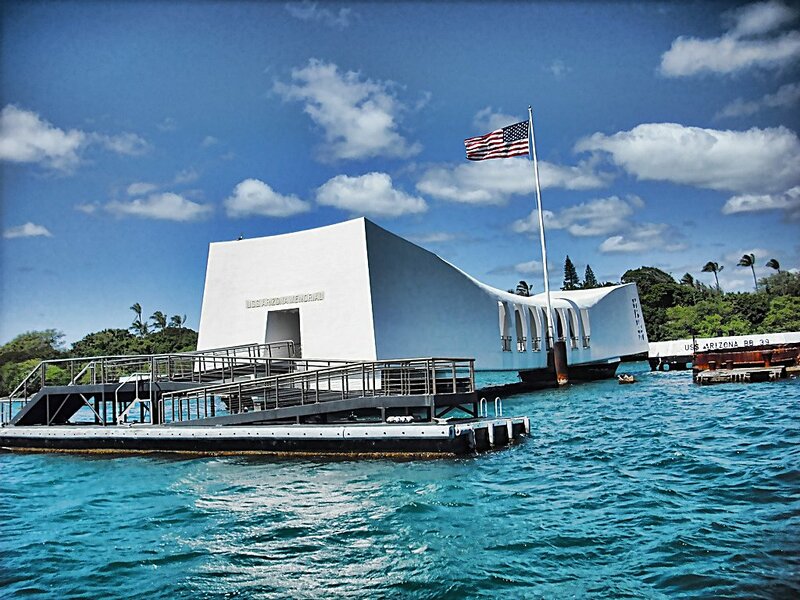 The memorial to the bombing is the premier tourist attraction in Hawaii and the most visited war memorial in the United States. The memorial itself has a sagging centre with ‘strong’ ends expressing ‘initial defeat and ultimate victory’. December 7th this year will mark the 75th anniversary of the bombing of Pearl Harbor. The church was built in 1891-1895 and was an important Protestant church for the city’s residents, but it is now more a commemoration to World War II than the emperor it is named after. 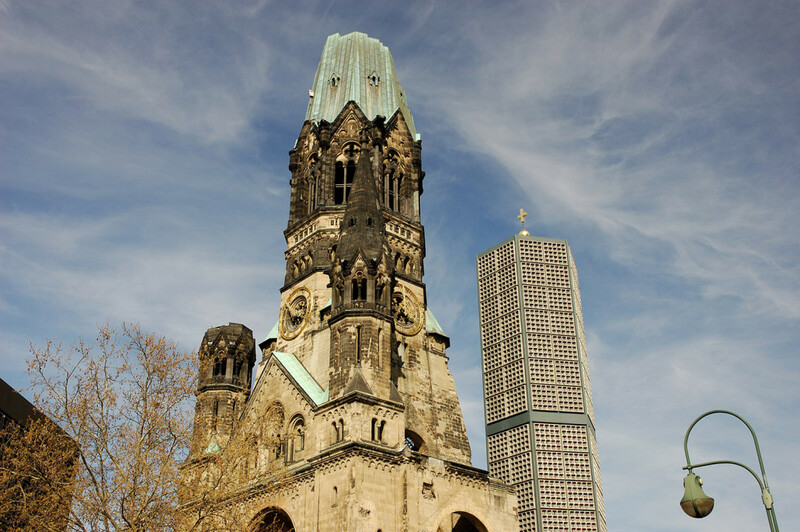 Damaged in a bombing raid in 1943, the church was deliberately left unrepaired to testify against the horrors of war and a reminder of the will of Berliners to rebuild their city after the war. It’s so hard to imagine that most of Berlin looked like this by the end of the war. I’d read the book. I’d seen the film. So, the Anne Frank House was on my hit list when I first visited Amsterdam. It certainly was eery passing through the doorway to the hidden annex, which was concealed behind a moveable bookcase. It was in this secluded area that Otto, wife Edith, two daughters (Anne, the younger) and four other Jewish people hid for over two years (without stepping outside). Of the entire group in hiding, only Otto Frank survived the war. Anne and her sister Margot are taken from Auschwitz-Birkenau to Bergen-Belsen in October, 1944 and they both died of typhus in March, 1945 – only a few weeks before the concentration camp was liberated by the British. Anne’s diary has been translated into more than 70 languages (more than any Dutch-language book in history) and to date over 30 million copies have been sold. Seeing the D-day beaches made me feel sick. Okay, it may have something to do with the terrible hangover I had and it was cold and miserable on the beach. The advertising agency that I was working at in London had taken us all to France for the weekend and the bosses thought that it was a great idea to get us up early after our Christmas party for a bit of culture and history. It was on this stretch of beaches on the Normandy coast where the infamous D-Day Landings of June 6, 1944 took place, changing the course of the war. 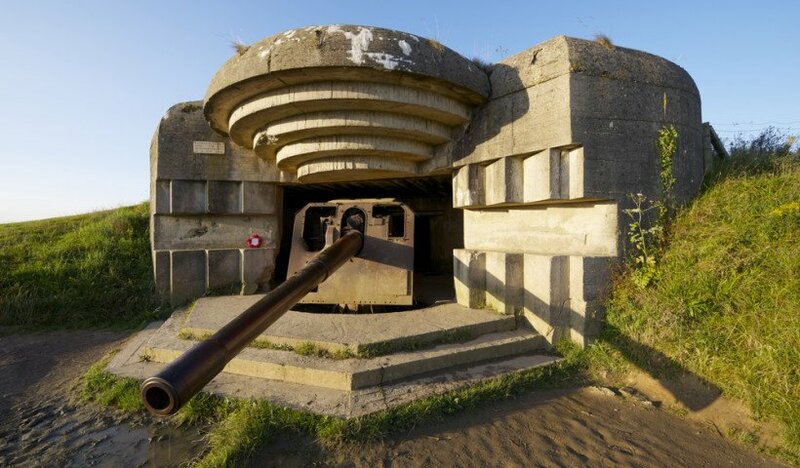 The five beaches—Sword, Juno, Gold, Omaha and Utah—were where the forces of the French, British, Canadian and American armies successfully landed and commenced an operation that changed the tide of WWII in Europe. Most of the hungover and predominantly English advertising folk on our tour of duty didn’t even leave the bus to walk on the beach. The movie, The Bridge on the River Kwai brought notoriety to this otherwise unremarkable town just a few hours bus ride from Bangkok, where a newly constructed bridge attracts thousands of photographers daily. The original bridge, still standing close by, was built in 1943 with the purpose of aiding the transport of supplies for the Japanese in Burma. 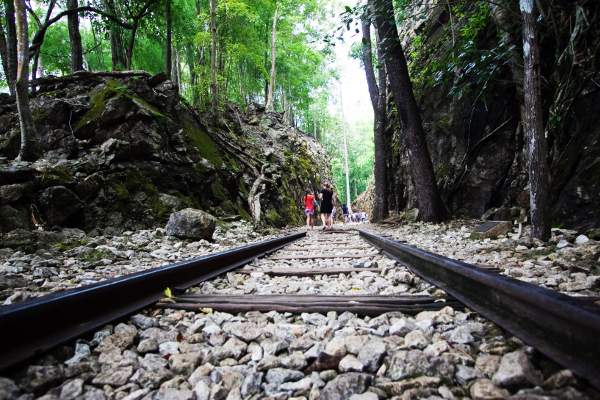 Over 12,000 POWS and 90,000 civilian workers died during the construction of the Death Railway and the POW cemetery made for a humbling visit. 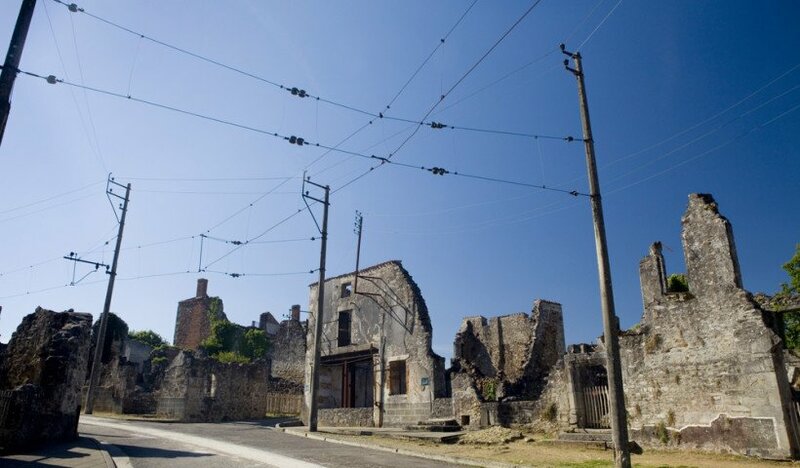 This small village in western France was the site of one of the largest Nazi massacres on French soil. On June 10, 1944 SS officers stormed the village and killed the vast majority of residents (642 men, women and children) before doing their best to destroy the village. Though officially rebuilt a few kilometres north, the French government ordered the original site to be untouched and to stand testament to the horrors committed there. Walking through the ruins was like wandering through a broken ghost town. Fantastic blog or article or whatever it’s called nowadays. The most moving (and terrifying) war site I’ve been to is the Killing Fields in Cambodia. It’s beyond madness what happened there. Top 10 religious monuments. Curling and other extreme après ski fun.